The #1 story of 2011 is one of ultimate sacrifice. 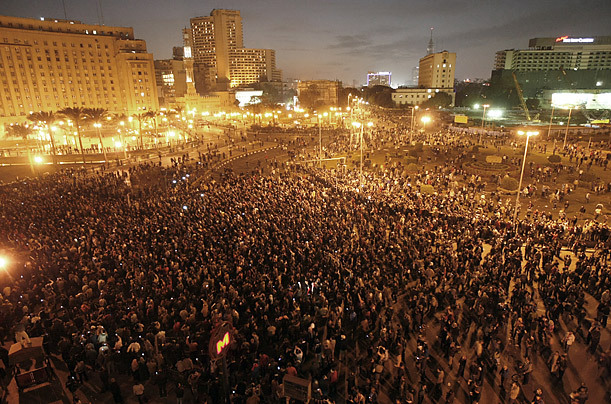 Many people know of the massive protest in Egypt of 2011 but who knows why it really started? The media has not explained the truth of what happened here. This is another story of government tyranny vs the little guy. Mohamed Bouazizi was a street vendor who was selling produce to make a honest living for his family. After having enough of government harrassment and abuse he decided to make the ultimate sacrifice. Mohamed Bouazizi had been routinely harassed by paid government officials for years. They always said you can only push a man so far. Mohamed Bouazizi knew the government thought he was powerless so what could he do? Ultimate Sacrifice. When Mohamed Bouazizi went to set up his produce cart for another days work he was again harassed, embarrassed , abused by crazed police who took away his produce and even took his scales to measure his fruits. To respond Mohamed Bouazizi set himself on fire in public to protest the inhumane treatment of people by the government and to call attention to what was happening. Talking about selflessness, it is truly an amazing act. Mohamed Bouazizi join’s other people who made the ultimate sacrifice in order to stop amazing government brutality. A Chinese man known as “Tank man” stood up to tanks. 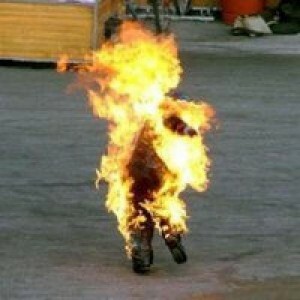 In 2011 12 people have set themselves on fire to protest Chinese control of Tibet. The result of Mohamed Bouazizi action was the start of the Tunisia protest and the Egyption revolution, however the press somehow forgets this. ‹ Can we stop the IRAN WAR?